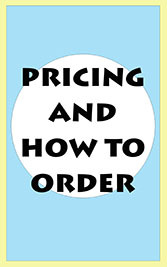 Click here when you are ready for us to start building your new railing. 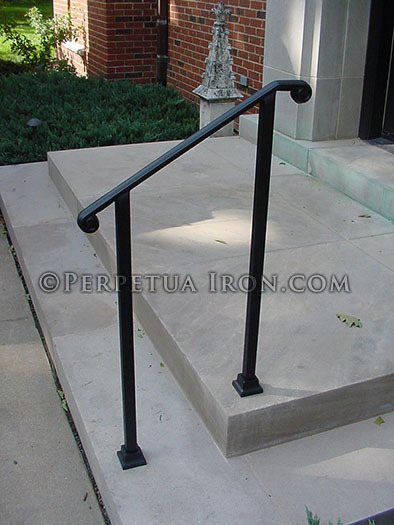 Single hand rail for an interior step, core drilled in stone. 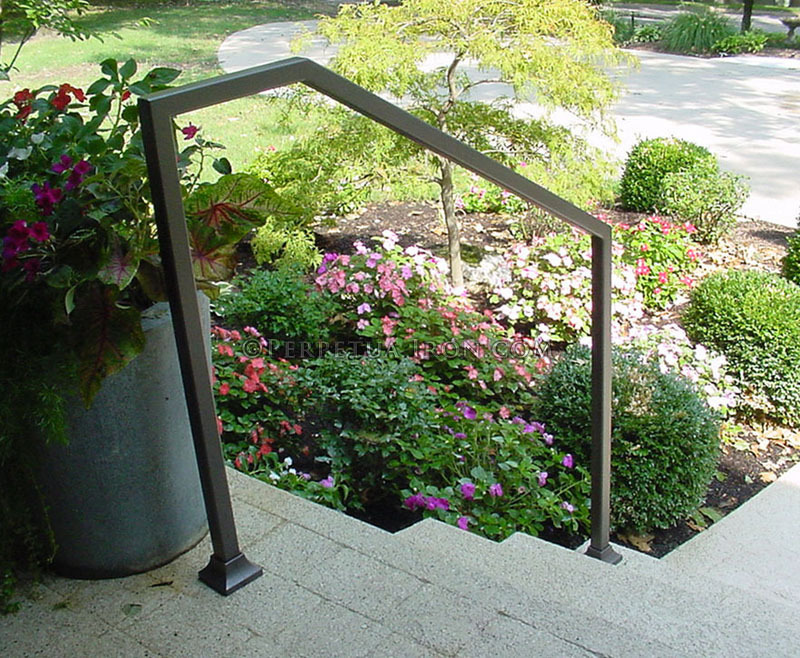 Exterior handrail, modern design, 1.5” tubing, bronze color. 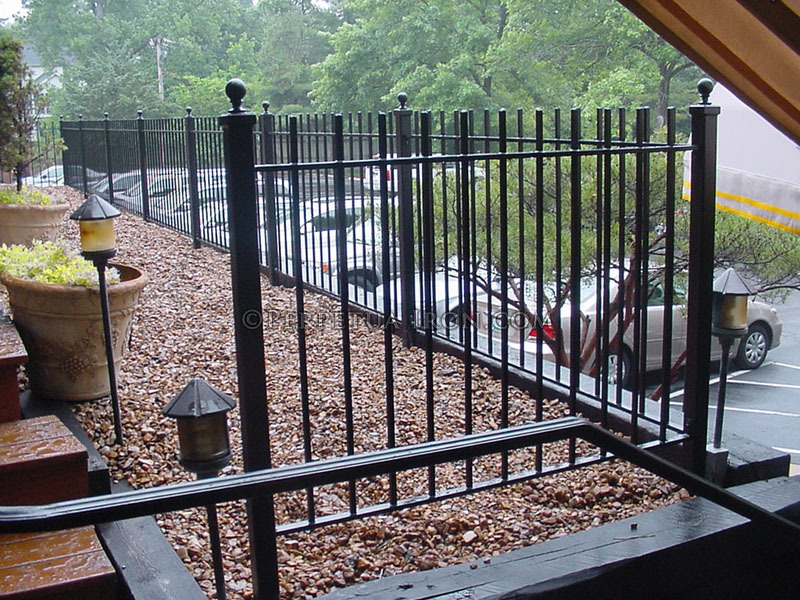 Exterior railing, 2 channel design with ball cap finials. 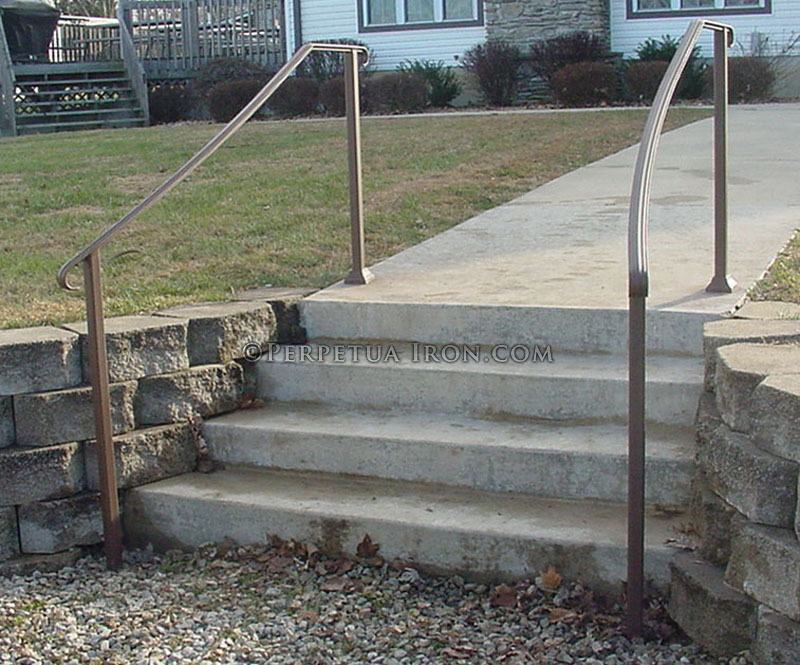 Exterior handrail, curved on site, bronze colour. 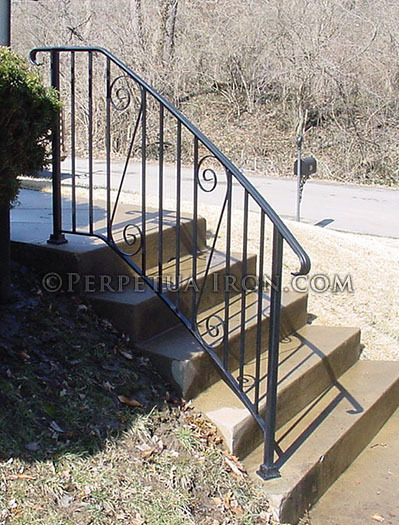 Exterior wrought iron handrail, curved, traditional design. 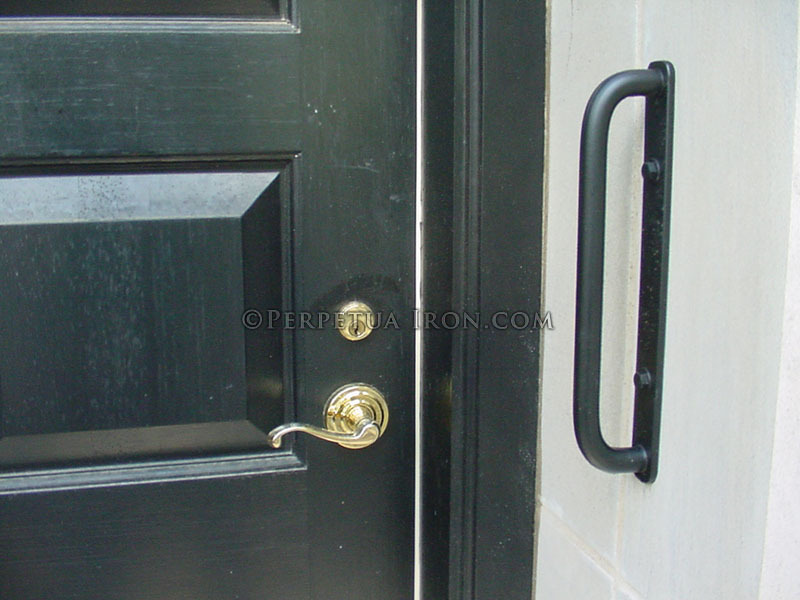 Porch rail with cast iron oak design, satin black. 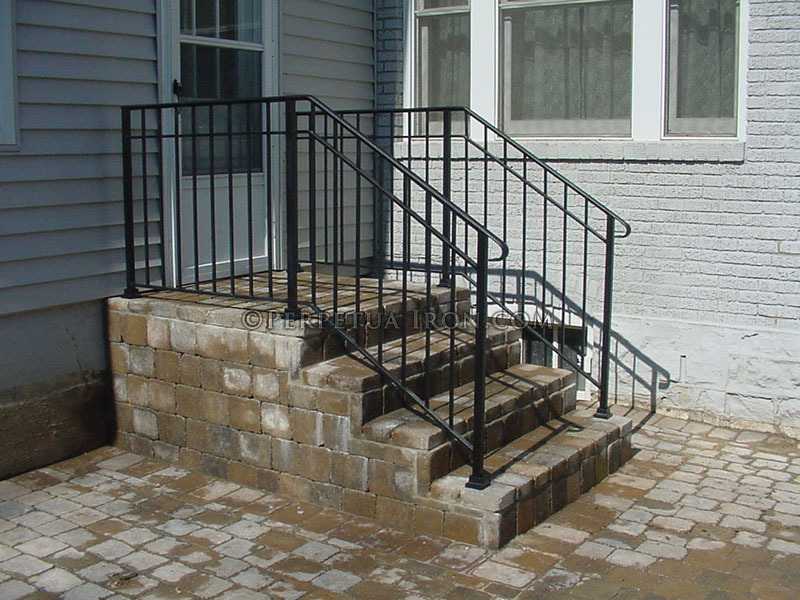 Railing for steps, 3 channel design. 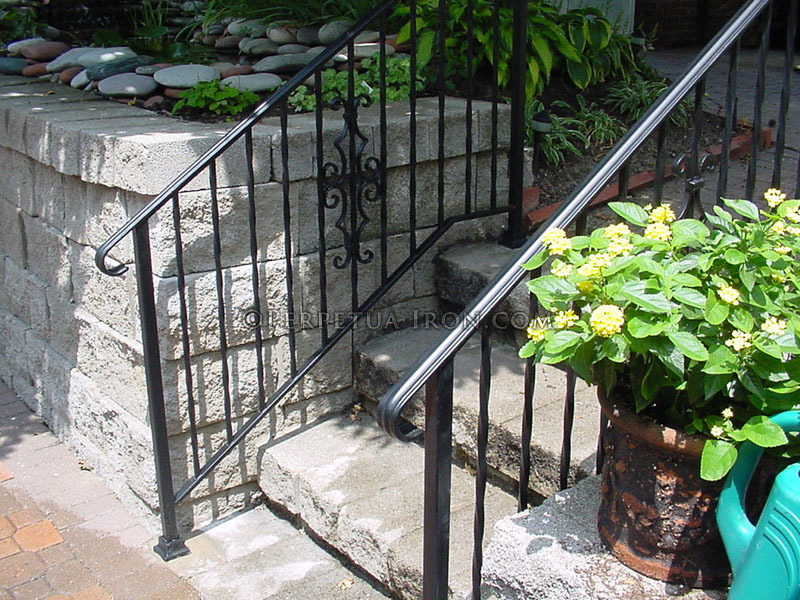 Railing for steps, classic design with alternating nodes. 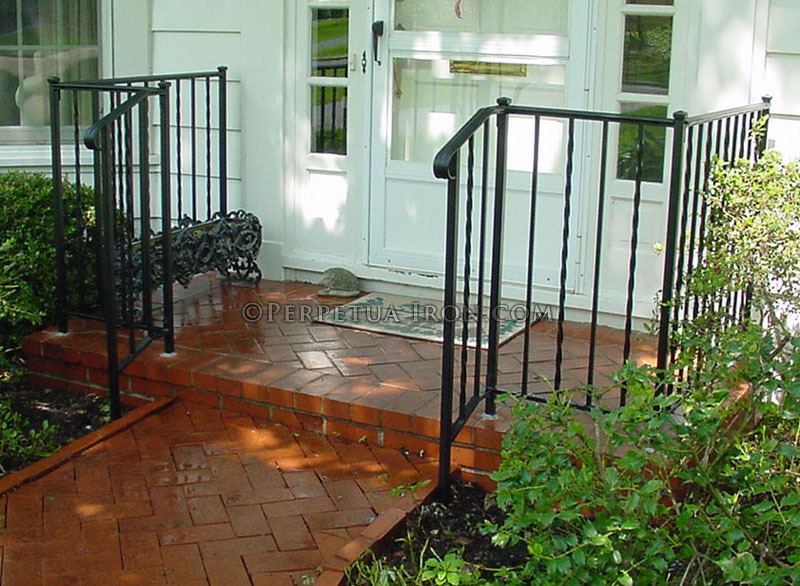 Porch railing, design is alternating twisted pickets. 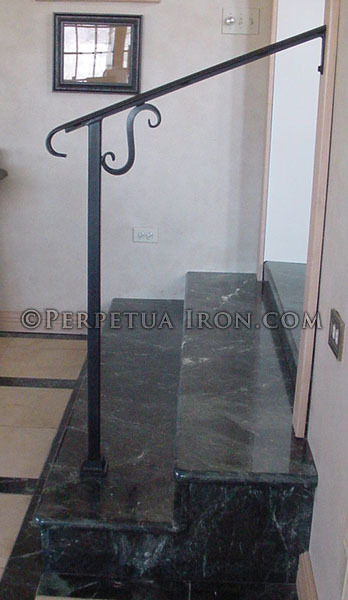 Simple grab bar for entryway. 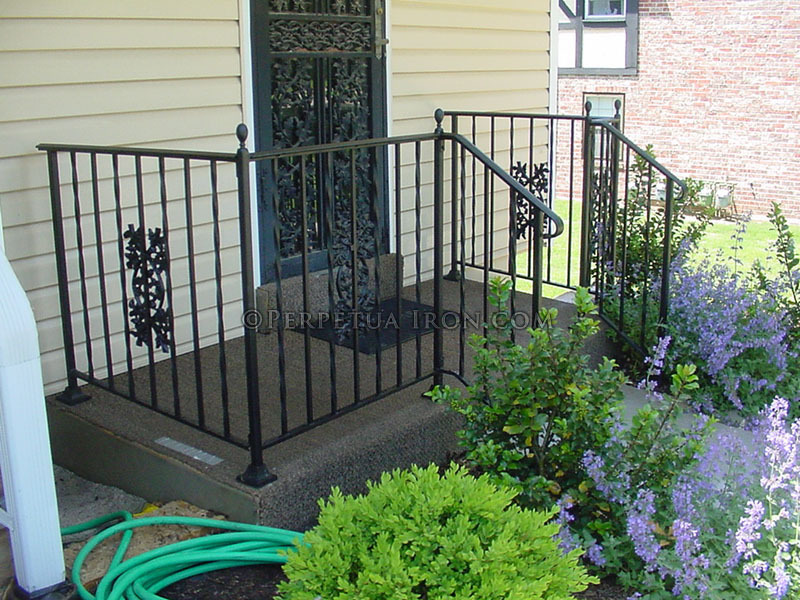 Simple, elegant railing, no pickets, cast iron scroll ends. 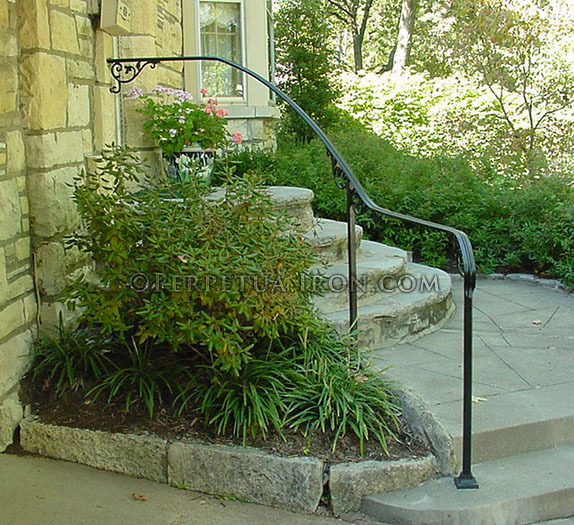 Flowing handrail only, curved on site, with cast iron scrolls. 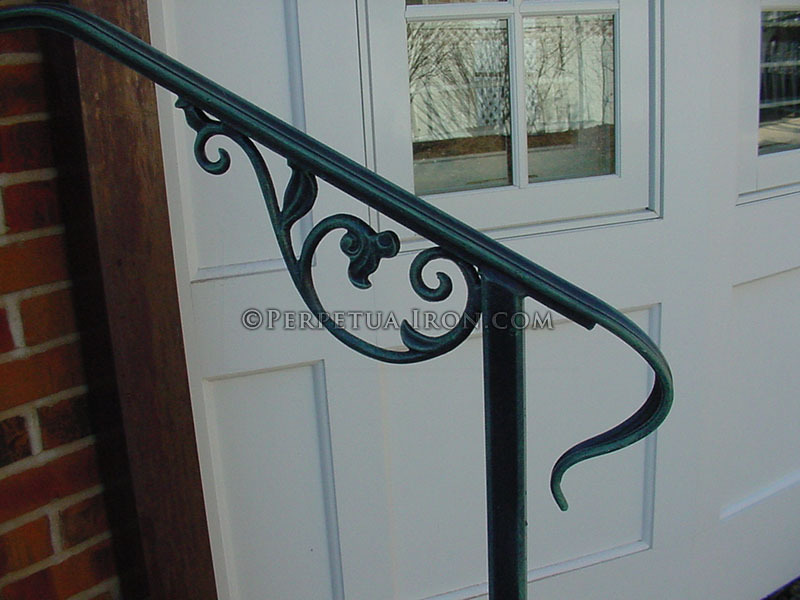 Detail of lamb's tongue, antique green finish. 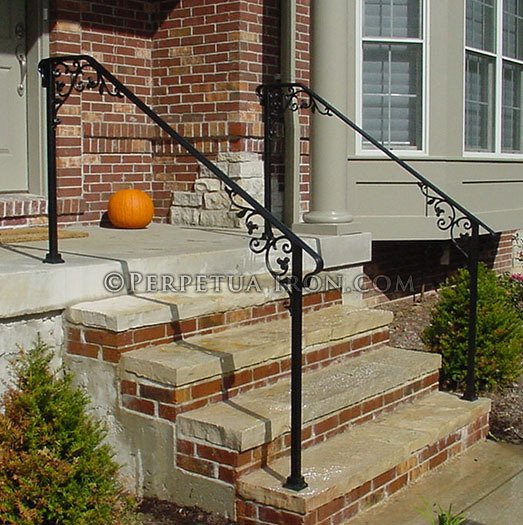 Railing for front steps, cast iron elements. 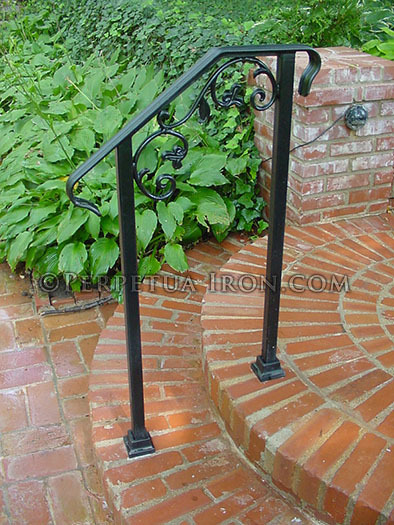 Railing for garden steps, cast iron elements. 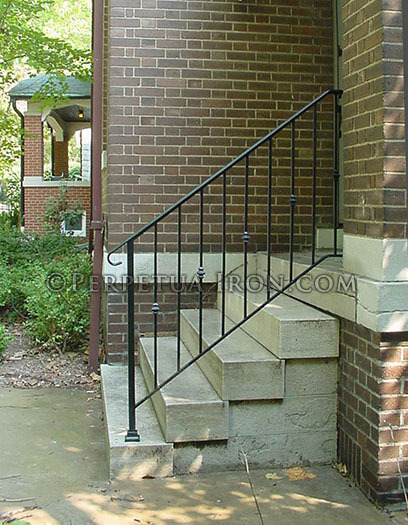 Railing for steps with twisted pickets and cast iron elements. 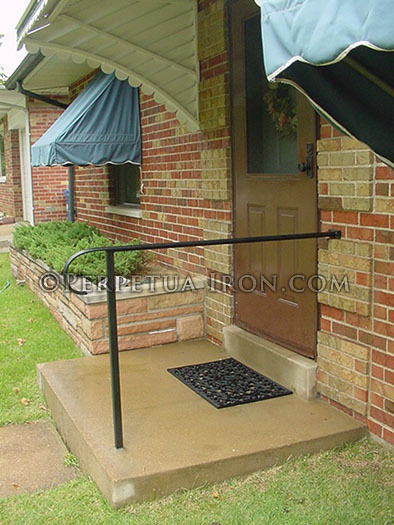 Handrail and post for simple porch.